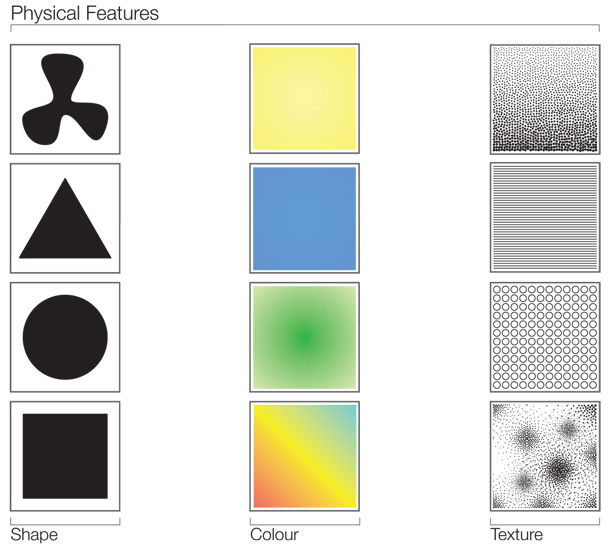 The visual features of elements are shape, colour, texture, size, orientation and position. The Visual features in turn can be thought in terms of physical and relational features. The physical features of the visual elements make them visible and distinguishable from its surroundings. At a particular instant of time, an object or its representation has a certain shape, colour and texture. 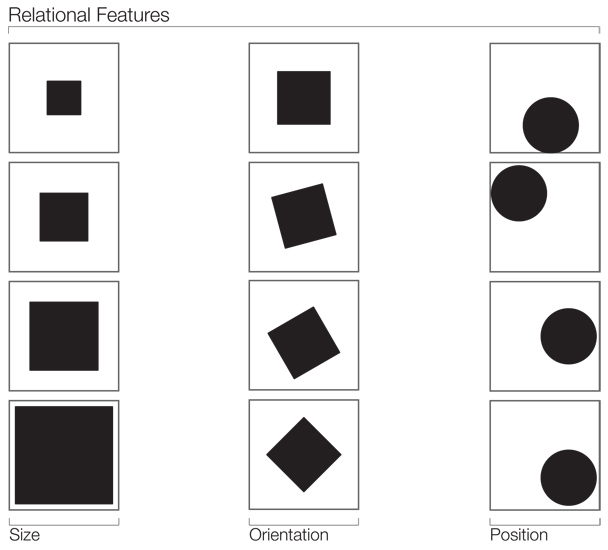 The interrelationships of visual elements are governed by relational features. An object has a definable size, orientation and position in relation to other objects and to the frame of reference of the visual field.